What follows then is a speculation on my part. 1. I think Cuomo is genuinely sincere in his desire to increase tourism to New York State, especially upstate where he frequently vacations. 2. I think Cuomo is genuinely sincere in his desire to include the historic sites of New York State in his efforts to increase tourism in New York State. Pulling $60,000,000 out of thin air is nothing to sneeze about. That is real money. That being said, why did he follow the path he did in trying to help in these two areas? 1. The first problem is that the history community is not part of the decision-making in this effort. It does not have a seat at the table. It is a weak, divided, fractured, impotent community of numerous entities each doing its own thing, trying to survive, and with no state history community vision to guide it. Even though there are statewide organizations both public or private, there is no individual or council addressing the history community as a whole. No one has the job of seeing the big picture for history in New York. Despite the dream-team Path through History kickoff with Ken Jackson delivering the plenary and Harold Holzer the luncheon address, they are not critical players in the Path project. 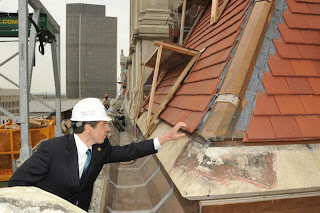 The bottom line is that no one is speaking to Cuomo on behalf of the state history community. Following the recent state tourism summit, MANY/Museumwise defined the challenge facing the state museum community in a recent e-blast to its members which are one portion of the state history community. We have defined a challenge for New York State’s museum community to work together to clearly convey what the State’s museums, heritage organizations, zoos, botanical gardens and aquariums do- your value and your impact. We applaud those who have taken the lead and invite others to take the initiative- welcome the invitation- and come to the table during regional and statewide discussions and planning sessions for educational initiatives, economic development and tourism initiatives. We want to be &#8211 and need to be &#8211 an active part of the educational, economic development, and tourism conversations taking place at every level in our state. Who are the people who are going to meet this challenge, take the initiative, attend the relevant meetings, at least those which are really useful? Do they have the time? What regional meetings? Certainly not the Path meetings. How many historical societies are part of MANY/Museumwise out of the total state population anyway? If an historical society doesn’t have a building/museum, then where are they represented?. And of course this effort also needs to be done with the municipal historians, scholars, teachers, archaeologists, genealogists in the public and private sectors. I write this not to criticize MANY/Museumwise for its effort but to point out the daunting challenge of speaking on behalf of only one group within the state history community yet alone all of them. 2. The second problem is the deceptive data on tourism. People love to bandy about the tens of millions visitors to New York State, the billions of dollars they spend, and the thousands of jobs they create especially in Manhattan. While this is quite true it has very little to do with cultural heritage tourism or the visits to historic sites. The fact is that the biggest boon to tourism in Rochester would be for Xerox and Kodak to become Fortune 500 companies again. The fact is the biggest boon to tourism in Syracuse is for the University there to be a national power in college football and basketball. Note: Cuomo is creating a NYS Sports and Special Events Commission as part of the $60,000,000 push. But that is not history tourism. On the other hand, the Chicago Cubs want to build a hotel by Wrigley Field, the third-most-popular tourist attraction in the entire state of Illinois. Since Wrigley Field turns 100 next year, perhaps that does qualify as history tourism. Bronx Borough President Reuben Diaz seeks to build a hotel and convention center at Yankee Stadium. If an historic opera house where Houdini, George Burns, and the Marx brothers once performed becomes the Bronx Opera House Hotel is that historic tourism? The fact is that the biggest decrease to tourism in Manhattan would be if NYU, Columbia, the UN, and Wall Street relocated, there was no Broadway theater and no world-class shopping. The sad reality is that even the airline staff who stay over in New York represent a larger number of tourists in the state definition than most communities in the state receive. Manhattan isn’t the only magnet for shopper tourists. Woodbury Common also is a tourist draw. &#8220We have customers that literally fly into JFK, get in a cab and go directly to the outlets, fillup their luggage and return home again&#8221 said Danielle DeVita, SVP in real estate. Others come by bus from Port Authority. Others drive from Canada. Not to worry- they will have the historic tourist experience. In the remodeling of Woodbury Common, each shopping area will be named for a different area in New York State such as the Hamptons and the Adirondacks. Then the people cabbing from JFK, busing from the Port Authority, and driving from Canada can really be counted as tourists to the historic areas of the state! Besides Cuomo not hearing from the history community, the information he is hearing from the tourist industry is deceiving when it comes to the historic sites. The international tourist isn’t here to learn about William Johnson or the Burnt Over District or the state’s role in the Civil War, War of 1812, American Revolution, or French and Indian War, anniversary events the State minimally funded if at all anyway. $350,000 annually for four years was too much! The Regional Economic Development Councils will be the vehicle through which the history community should operate. How has that worked out so far? Kelleher then provided three reasons why the vetoes were shortsighted all of which are true. 1. Commemorations are huge heritage tourism events with measurable returns. 2. It takes the power of the State of NY to leverage funds and create partnerships. 3. Commemoration Commissions need to be more than just events. age and historical significance that contribute to the identity and character of our State, we loosen the ties that hold us together. If we fail to teach our children the lessons of yesterday, we do not equip them to understand the world of today and to prepare for the world of tomorrow. 3. The third problem is that the tourists Cuomo is interested in not only aren’t visiting the historic sites of the state, they are not the visitors the historic sites want either. The historic sites in Brooklyn, Queens, Staten Island, the Bronx, Nassau, Suffolk, and Westchester don’t need visitors from California, Pennsylvania, nearby New Jersey, or from around the world to visit them- they need the millions of people in their own backyard to do so. To do so in school field trips, to do so as families, to do so as adult volunteers and members. This is even more true upstate. Historic sites should be an integral part of each and every community in the state. They should be part of the k-12 curriculum, they should be part of civic identity of the community, they should be as much a part of the fabric of the community as the high school sports teams and drama clubs. Historic sites like libraries and schools are regulated by the New York State Education Department but unlike libraries and schools, the historic sites are not funded by them. They are always overlooked. Imagine what $60,000,000 could do to help the history community if it was spent on them! Instead a measly $1,000,000 will be parceled out statewide while the advertising companies gorge on the feast provided by the Governor. The typical historic site is not the Metropolitan Museum or the New-York Historical Society. These organizations have blockbuster exhibitions. Exhibitions bring crowds. Conferences are held in conjunction with the exhibition. New York State Military Museum just opened a Civil War exhibit to high praise. I have brought teachers to Saratoga, including from out of state. We have stayed in motels and eaten in restaurants. I spoken with the staff about the travails of getting the financial support the Museum should have. How much of the $60,000,000 is dedicated to supporting history exhibitions and conferences that could draw tourists? The typical historic site is not the Metropolitan Museum or the New-York Historical Society. They were built as museums, not as private homes or other structures which became one. Many of the historic sites which are not open 24/7 or even 7, depend on the kindness of volunteers and lack the facilities including staff to handle a significant increase in traffic. The infrastructure simply isn’t there. I know first hand the difficulty in creating a path through history when sites are not open on various days or only for limited hours on the days when they are opened. Scheduling a trip for a week to small sites is a challenge. In the real world of historical societies and museums the situation is quite different from the major museums of the cities of the state. How much of the $60,000,000 is dedicated to supporting the history society infrastructure so it is capable of handling more visitors? The typical historic site is not the Metropolitan Museum or the New-York Historical Society. In fact, it’s very existence may be threatened. The Mamaroneck Historical Society is struggling for the funding to purchase the home where famed New York State writer James Fenimore Cooper was married and lived. How about the Underground Railroad house of Stephen and Harriet Myers, 194 Livingston Avenue, Albany, not far from the Executive Mansion! How many similar examples are there throughout the state of private efforts to save historic sites? How much of the $60,000,000 is dedicated to funding the preservation of the sites which define the community, the state, or the country? And the situation is even worse with municipal historians who are mandated by the state, unfunded, and frequently barely tolerated by municipalities as long as they don’t cost any money or cause nay trouble. To redefine the position, especially at the county level to be a proactive one working with the schools, tourist department, and business development department requires funding. How much of the $60,000,000 is dedicated to funding the municipal historian positions throughout the state? There is nothing wrong with touting the recreational opportunities in the state and showcasing our grapes through billboards and posters at the bus stops and in the subways of New York City, but that is not history tourism. What we have is a Governor who has a interest in history, who thought he could do something to solve some real problems, but without learning from the weak, divided, impotent, leaderless history community what the real problems are and stumbled into a standard government solution of throwing money at the problem to the established players who are well organized and who do speak up. The Path through History has potential to be something really special, so much so that it hurts to see it become just a statewide Hudson Valley Ramble. What if all of us go to the Contact web page for the governor’s office and ask him to read this? “Ask”. After the blog is read, what action do you want the tourism team and Cuomo to take? 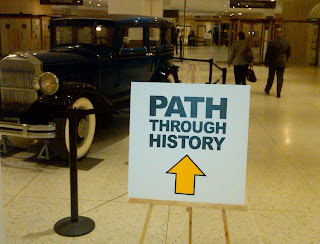 Peter: Has Governor Cuomo appointed a person or persons to run the ” Path Through History Initiative? If so, who is/are these persons? And, would it be productive to meet with them to discuss the excellent points you and others on the Blog have raised? At the risk of sounding like an owl, let me state that I am not sure who the who should be. Think that since you initially have publically raised the issue and have a deep understanding of it you should put a list of potential people that would serve on an ad hoc group to that would meet with the people who are in charge of the Governor’s Path Through History initiative. I am sure that there would be others who have similar concerns and interests would be willing to work with you on this. Peter- That was an excellent summary, not over stated in slightest. I suspect that the situation is worse than you present. The $60M dollar question? I suspect that the Governor has scooped up many small diverse pots of money from the NYS Budget and redirected it into this new tourism initiative probably to be parcelled out through the regional eco-dev councils. What this will do is eliminate the many small special pots of money that the history community had access to and funneled to the councils where the small museums, historical societies and local municipal historians are not represented at the table…only the most major sites and the regional tourism professionals….thus we are now cut off from the little trickle of funding that did exist. Our regional and county tourism professionals find the intracies of history difficult to understand and even harder to represent well which is one reason they stick to the museums that are open 24/7 or close to it….they do not know how to deal with Friday, Saturday and Sundays 2 to 4 PM. One neighboring county tourism director is really flumexed because her favorite site in her county, Clara Barton House (founder of the American Red Cross Society), is open “by appointment only”. Everyone of us who went to school here in NY State learned about Clara Barton. A book on her life was the subject of one my very first school book reports. Who wouldn’t want to visit the Clara Barton House particularly with the Red Cross such an important player in our life of national disasters these days? Tourism professionals only see “not open” and can not fathom how to deal with that issue….so they move on to greener pastures that can be easily promoted. We’d welcome a guest essay here at the New York History site about Clara Barton and the Clara Barton House. I think you are right concerning the lack of a strong voice for history in the state. Obviously Ken Jackson has visibility and has done a lot of good work promoting the importance of state history, and there are other scholars, directors of history organizations, and community leaders who could help. Once, there was a Public History Commission sponsored by the State Department of Education but it was sadly undercut and then went out of business. It would be so good if the State Historian wanted to create a small advisory board that would take as its mission the promotion of history and to speak up at meetings on behalf of history, to have a prominent role in promoting history, to be involved in the state’s role in using its history effectively, and to bring the various history communities into communication with each other on behalf of our history. It might honor history well done around the state, it should be present at state meetings where history can be visibly seen to be useful and important, and it could speak about the importance of historical literacy for everyone in the state. I fear the Path to History is more about promotion than strengthening the doing of history in the state well and effectively. But the doing of history comes before promotion of sites that are not ready or able yet to tell their story well to residents and visitors alike. There are a number of folks who might be included in such an advisory capacity and with electronic communication it would be easy and inexpensive to draw on their expertise to see that New Yorkers are informed, entranced, entertained, and involved with what has gone on — and what is going on, because history also means the past that was yesterday and what we leave for the future. You are an important voice for informed activism. Excellent summary of some of the issues. We could make the same observation about public grants and foundation grants which favor the large institutions. One basic problem is that history is not taught in schools to the extent it was in the past. This is unlikely to change in the near future. Perhaps there should be a consortium of small historical sites, by region. The Connecticut Historical Commission and the Connecticut Trust do a good job of connecting historical sites within the state, and they do generate publicity and interest. Is there anything like that in NY? Rosemary, I think your idea of a loose federation or consortium of small regional historic sites is an excellent one. I am amazed by the lack of interaction and cooperation that exists even between sites in the same town.